Bed bugs are the worst pests of all because of associated social, psychological and financial repercussions. With the modern life styles carrying increased travelling tendencies, reports of bedbugs infestations have seen on rise in urban dwellings. Like anywhere in the world London Ontario has witnessed the same trend as far as bedbug’s infestation is concerned. City of London has spent a considerable amount of taxpayers’ money towards this end. Bed bugs removal in London Ontario is as challenging as it is in other parts of the world. However government’s commitment to provide Londoners safe and healthy public health facilities is the encouraging sign. Adult bed bugs are about ¼ inch long, oval, reddish-brown, and wingless with flattened body. Immature bed bugs are usually called “larvae” or “nymphs.” Or “instars” They look like adults, but are smaller in size. From egg to adult process is completed in one month in normal circumstances. There are five larval stages, and each one requires a blood meal before molting into the next life cycle stage. A adult female bedbug can lay up to 500 eggs in its life under normal conditions. Through movement of infested bedding, furniture, and packing materials. Through movement of travelers via infested clothing, luggage, and lap top computers. 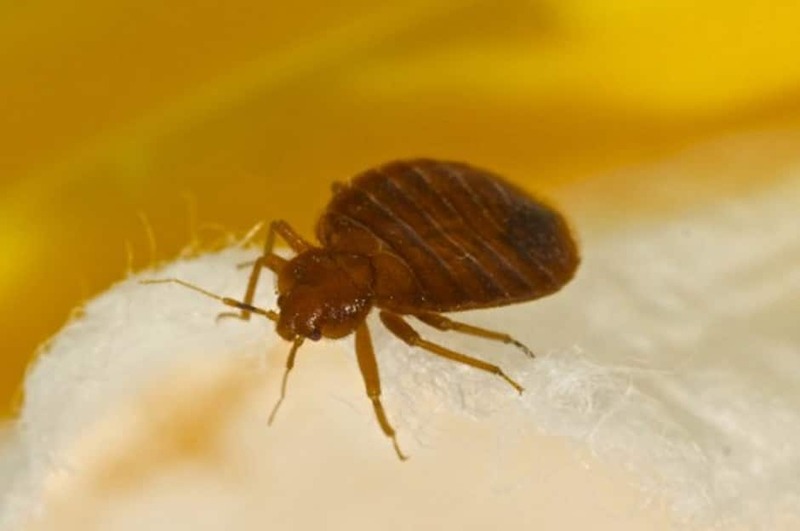 Bed bugs do not discriminate between economy or luxury hotel rooms. Bed bugs only need a source of blood provided by humans, and they can exist in the cleanest hotels, motels, apartments, and homes. Heavy infestation of bed bugs can witness characteristic sweetish odor caused in part by secretions from scent glands of bed bugs. Bed bugs feed on warm-blooded animals. Male and female adults usually feed every 3-4 days. Bed bug larvae and adults feed readily on humans, bats, and chickens, and they do so when the host is at rest. Thus bed bugs living with humans typically feed at night while a person sleeps, but they also will feed during the day in dark structures such as infested theaters with upholstered seats. They inject an anesthetic agent before sucking blood due to which host does not notice bite at the time of feeding. Bed bugs are attracted by carbon dioxide and body temperature of warm-blooded animals. On humans, they tend to feed on exposed surfaces such as the face, neck, arms, and hands. If you have bedbug’s infestation, you need help of a pest control professional period. However certain steps can be followed to keep your home bed bugs free. Thorough searching for bed bugs or signs of infestation in any potential hiding place, like bedding, upholstered furniture, or packing materials that might be introduced into your home or apartment. In case of suspicious bug bites look for droppings (black dot), eggs, and shed “skins” of larval bed bugs, as well as for active bed bugs on potential bed bugs hiding areas and blood spots on the sheets etc. In case of any of the sign of bed bugs infestation, immediately call licensed pest Control Company for a thorough and professional inspection. It is good to inspect hotel room for bed bug infestation after check in, check the mattress, box springs, and behind the headboard before using the bed. Report suspected bed bug infestations to the hotel management immediately so they can act accordingly to fix this problem. London Ontario Pest Control industry has been witnessing growing number of cases of bed bugs infestation over the last few years. In case of bed bugs infestation you surely will need help of a pest control professional to completely eliminate bed bugs. It can become painful and traumatic job for home owners and business owners if it is not done right at first place. It is recommended to have pest control professional look after this situation for you because they are trained for this job and know how to use insecticides properly and what application method suits your specific situation. If you have any more questions call Rapid Pest Control at 519 204 5428.